Shark Ray Alley is a shallow sandy-bottomed area in Hol Chan Marine Reserve, off the coast of Belize, so named because of the abundance of nurse sharks and stingrays that gather there. Traditionally, this area was used by the local fishermen to clean their nets before returning to port. 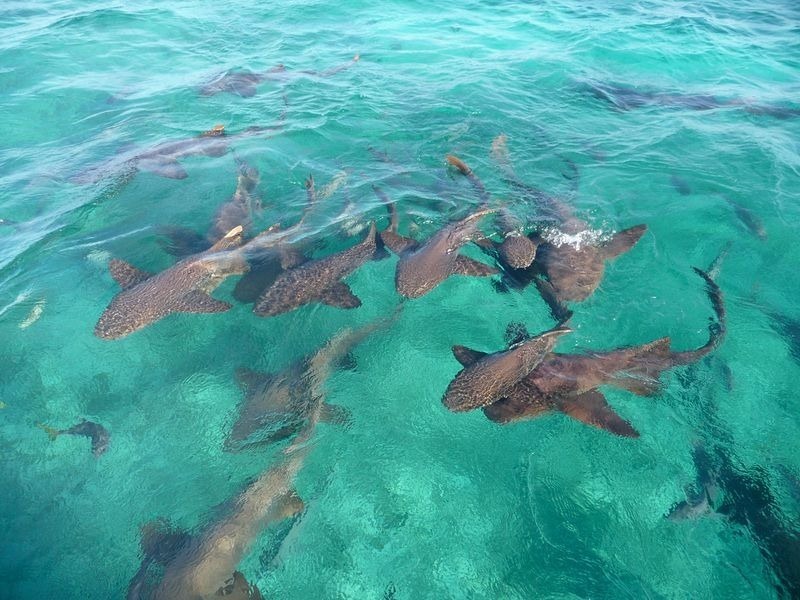 The small scraps of fish that washed off the nets attracted nurse sharks and several southern sting rays, and "Shark Ray Alley" quickly became a popular tourist attraction. The sharks and rays have learned to recognize the sound of dive boats as they approach and begin to school in anticipation of bait being thrown into the water. 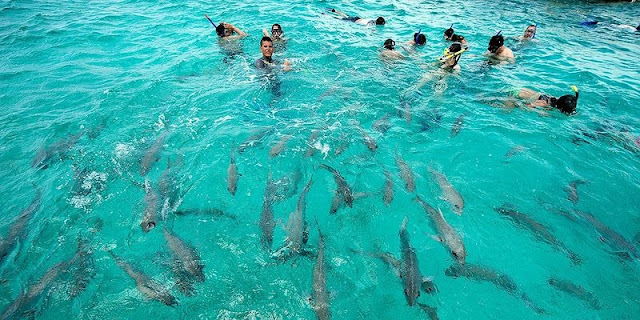 These creatures have a great tolerance for divers and snorkelers, and seem to enjoy the human interaction. 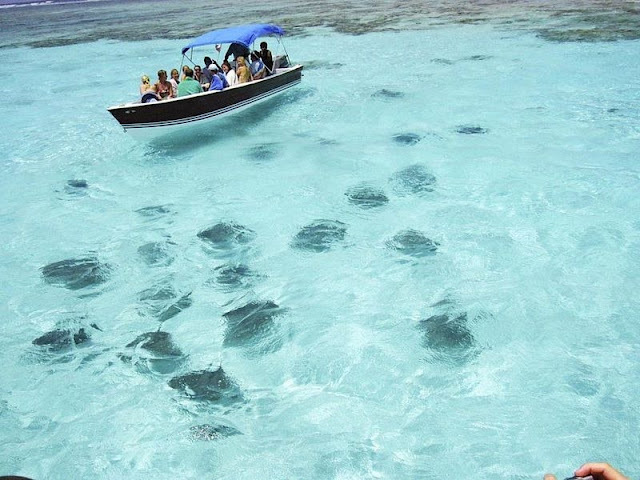 The rays, which have a 'wing-span' of two to four feet, swim directly towards the divers, with mouths often turned up. Other have learned to swim in circles around the divers, as if performing for food. 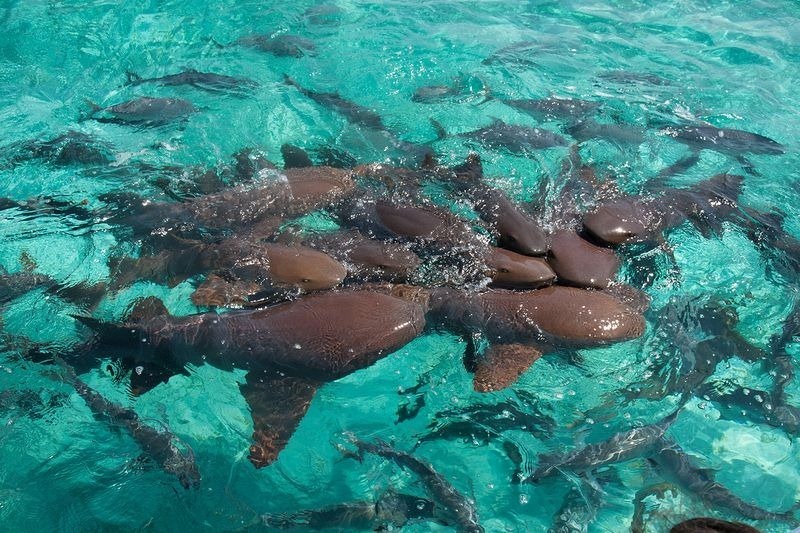 The docile Nurse Sharks average four to six feet in length.